Skin cancers in the region of the lower eyelid, inner corner of the eye (medial canthus) and outer corner of the eye (lateral canthus) are quite common. 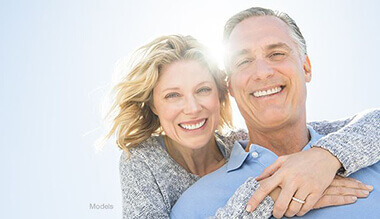 However, skin cancers on the upper eyelid are less common. The prospect of reconstruction to any of these areas can naturally be of concern to patients. One of the major tenets of eyelid reconstruction is to maintain the natural shape of the eye and not to have any abnormal pulling down of the lower eyelid.In order to accomplish this, the closure must be achieved in a vertical fashion (perpendicular to the lower eyelid) so as not to pull on the lower eyelid margin. 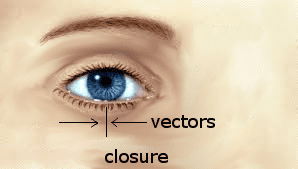 A strictly horizontal closure can, if tight enough , pull and change the shape of the lower eyelid. These goals of eyelid reconstruction can be accomplished through linear closures (vertically or diagonally oriented) if the defect is not too large compared to the general laxity of the eyelid skin. For larger lesions flaps, movement of adjacent eyelid, cheek, nose, or forehead tissue can be performed. When the lesion is not on the lid, margin skin grafts can be used. In cases where there is a large full thickness defect of the lower eyelid, a Hughes flap can be employed, where lining of the upper eyelid can be used to create new lining for the lower eyelid. Examples of such reconstruction will be shown.